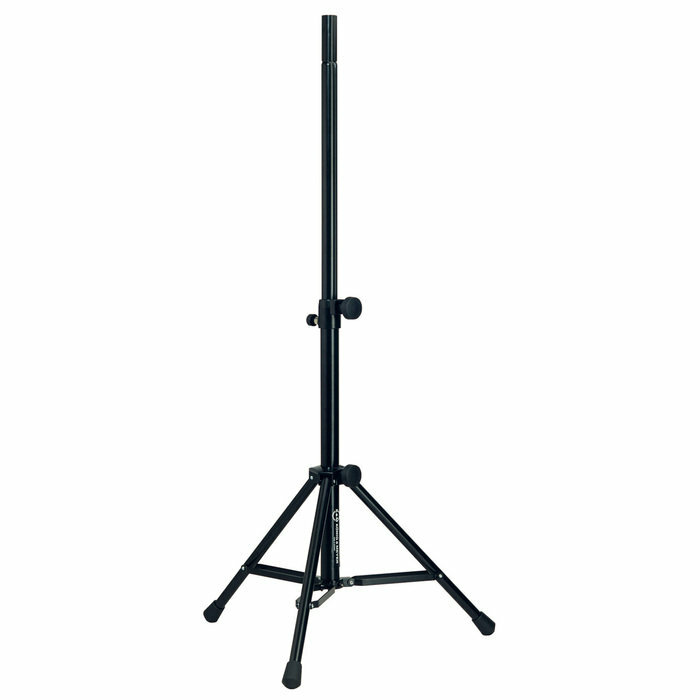 Aluminum speaker stand especially designed for low to medium height applications. Extension tube diameter 35 mm. 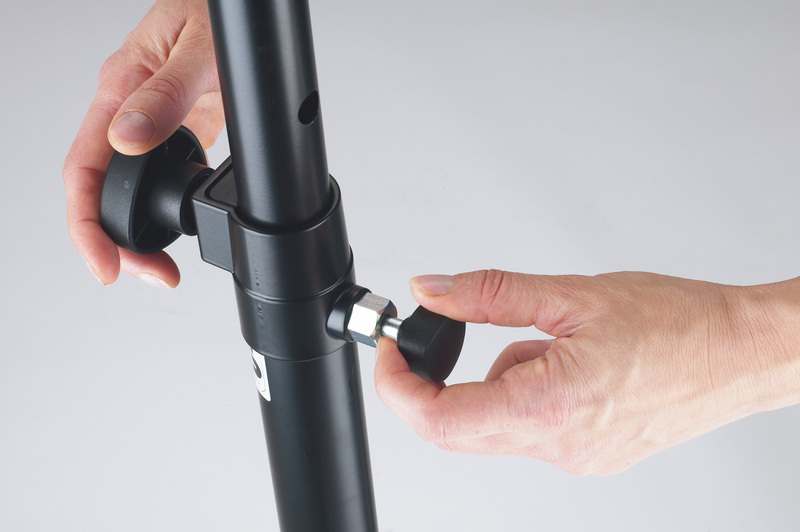 Height-adjustable by a spring-loaded locking screw and safety bolt. Approved for loads up to 40 kg. 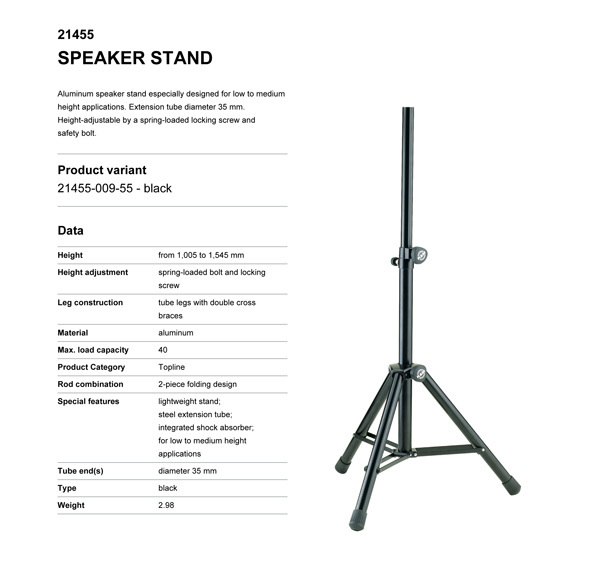 Wt: 3.0 kg, H: 1005/1545 mm.